Dinesh D’Souza, author of the #1 New York Times bestseller America: Imagine a World Without Her, has a warning: We are on the brink of losing our country forever. After eight years of Obama, four yearsor possibly eight yearsof Hillary Clinton as president of the United States would so utterly transform America as to make it unrecognizable. a dream of stealing America for the politically favored few. Not only is Hillary Clinton a liar and a criminalwho would have been indicted for mishandling classified information on her secret email sever had the Democratic Party not closed ranks around hershe is also the culmination of her party's deliberate and stunning plot to redistribute wealth and political power to the liberal elite. 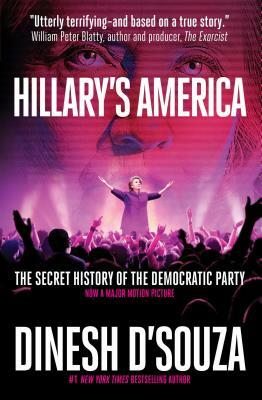 Dinesh D'Souza is the author of the New York Times bestsellers America: Imagine a World Without Her, Obama's America, and The Roots of Obama's Rage. He is also a former White House domestic policy analyst and research scholar at the American Enterprise Institute and the Hoover Institution at Stanford University. His other best-selling books include What's So Great About Christianity and Life After Death.